Neoprog trio playing organ based ELPesque prog mixed with N.W.O.B.H.M. A Chesterfield Progressive Rock trio formed in the mid 70s. 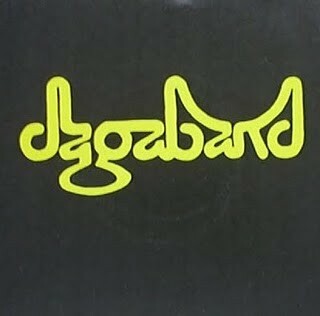 A serious car crash involving all three members of the band at the time put DAGABANDs career on ice until a return to the live circuit supporting BUDGIE on their 1982 British tour. In the summer of 1983 guitarist Steve Fidler quit to form LAST CHAPTER, so one of the bands original members, Sean Piggott, found himself back into the fold. By mid 1984 frontman John Youdale had also bailed out, resulting in the recruitment of ex-TAMARISK guitarist Nick May who joined in early 1985. May had released a cassette album titled ‘Counterbalance’ in 1988. May later joined QUASAR, JADIS and THE ENID for their sundialer’ album. * GENRE: Heavy Metal / N.W.O.B.H.M. Genre: Prog Rock / N.W.O.B.H.M. Formed in 1973 by the brothers Greg and Phil Boynton, and originating from Chesterfield, in England. As they were largely a touring act, they only ever released a single, and an E.P. ; though there are a handful of live bootlegs known to exist. Active between 1973 to 1987 (performing a one-off gig in 1993), during which time they toured several times in their own right, as well as supporting Marillion, The Enid, Vivian Stanshall, Budgie, Demon, and Mendes Prey. Performing at venues such as Ronnie Scotts (London), Zoom Club (Frankfurt), and the Marquee (London). They reformed in early-2010, but the acts’ driving force, Greg Boynton, died in April of that year during efforts to finally put together an album. SKU: YP-4973 Categories: All Genres, NWOBHM, Search by Media Type, 7", NWOBHM 7"